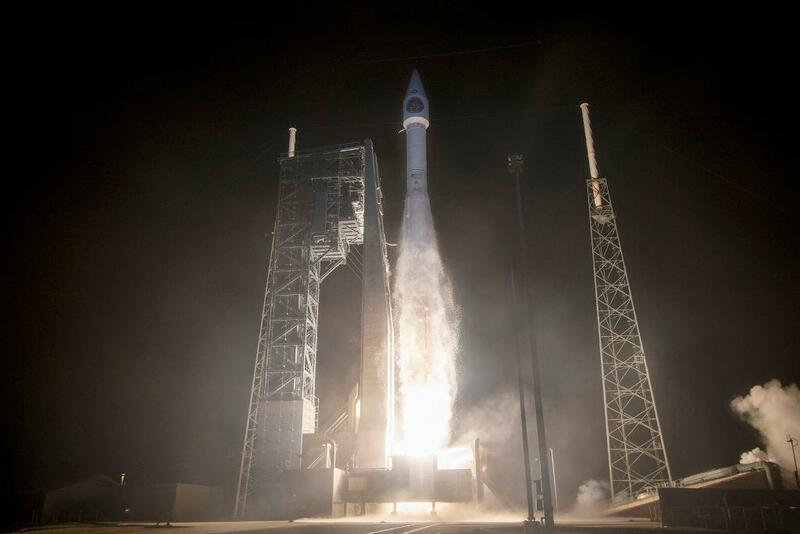 The final building block in a critical global missile warning system operated by the Pentagon took flight on Friday atop a United Launch Alliance Atlas V rocket blasting off into the night over Florida’s Cape Canaveral. Destined for a gap in the current constellation of state-of-the-art missile warning satellites, the fourth SBIRS spacecraft will relieve the last of the older DSP satellites and establish a global constellation that can keep watch over anything from a tactical short-range missile to inbound ICBM threats. 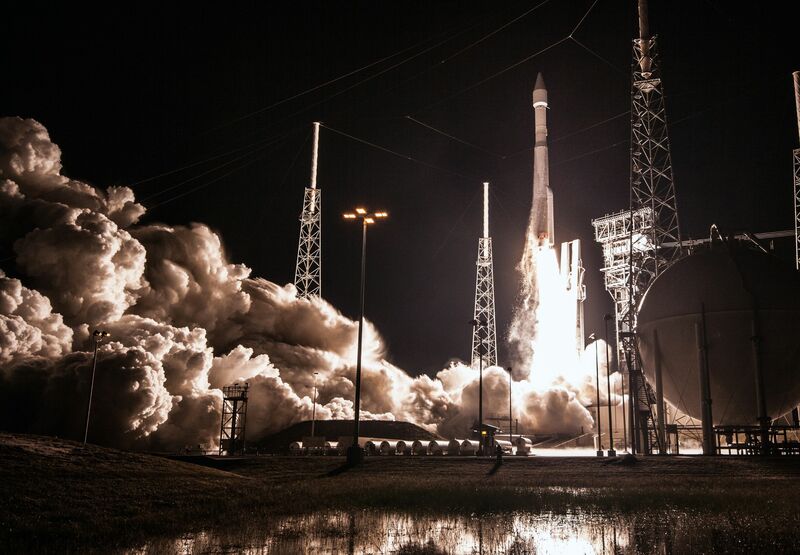 Atlas V – flying in its “lopsided” configuration with only a single Solid Rocket Booster – leapt of its SLC-41 launch pad at 0:48 UTC on Saturday, 7:48 p.m. local time on Friday. 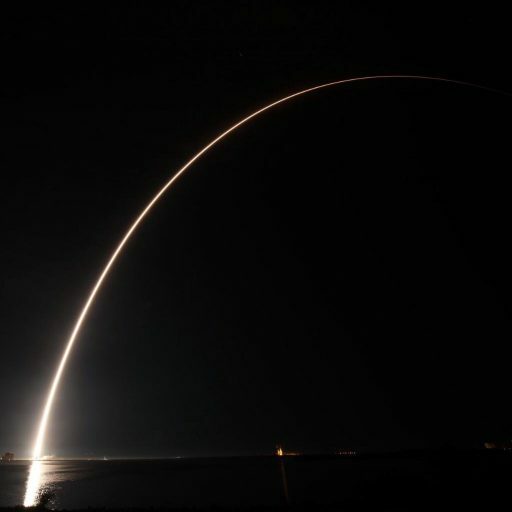 Departing Cape Canaveral to the south-east, Atlas V dropped the lone booster into the Atlantic 140 seconds into the flight while the Russian-built RD-180 engine fired until the T+4-minute mark before handing off to the trusted Centaur Upper Stage. The final push into orbit was up to Centaur’s RL-10C engine, first firing the stack into a Low Earth Parking Orbit before giving SBIRS GEO-4 a second boost to lift the high point of its orbit and send the spacecraft on its way 43 minutes after launch. United Launch Alliance confirmed the successful outcome of Friday night’s mission shortly after the 4.5-metric-ton satellite sailed off from the Centaur upper stage which was then to conduct a deorbit burn to remove itself from orbit as a debris mitigation measure. This marked ULA’s second launch of the year, coming on the heels of last week’s Delta IV launch also in support of U.S. National Security. 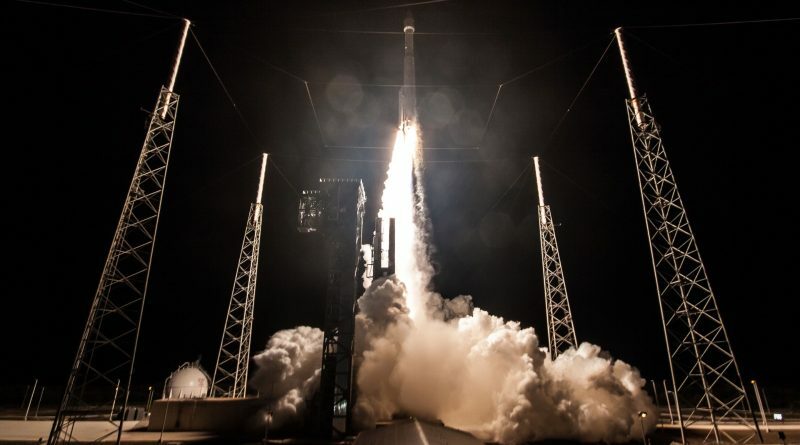 For Atlas V, the mission opened a year that could see as many as eight missions per the current ULA manifest, including a trip toward Mars with NASA’s InSight Lander and the first launch without a payload fairing when flying with Boeing’s Starliner spacecraft for the first time in the second half of 2018. 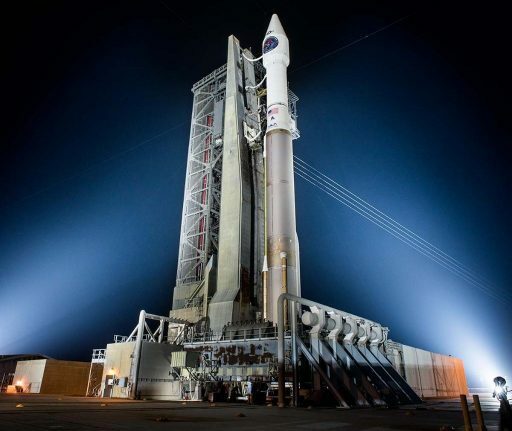 The 75th Atlas V mission was tasked with deploying the fourth satellite for the Space Based Infrared System (SBIRS) – a constellation of dedicated satellites in Geostationary Orbit and hosted sensors in highly elliptical orbits to provide a global missile-tracking capability through eagle-eyed infrared sensors. Considered one of the Pentagon’s most critical space-based defence assets, the multi-billion Dollar SBIRS constellation is designed to detect and track missile launches to deliver timely warnings of any imminent threat to the U.S. homeland, deployed armed forces and allied nations while also providing crucial data guiding a missile defence response. Built as a successor to the Defence Support Program that provided missile tracking since the early days of the Cold War, SBIRS has to deal with a changed playing field and must be capable of not only detecting the powerful ICBMs operated by only seven countries, but also short-range missiles used abundantly across the globe. The early detection of incoming missiles is of utmost importance when attempting to intercept the attack before it reaches its destination. Initial missile warning systems established in the 1950s relied on ground-based radars with very limited range, providing only very short warning lead times. As the exploitation of space became a reality in the 1960s, U.S. leadership immediately recognized the importance of establishing a space-based missile warning system to increase warning times. MIDAS, the Missile Defense Alarm System, launched a number of satellites toward Low Earth Orbit in the 60s but never reached operational strength due to a high number of launch and in-orbit failures as space technology had not yet reached the level of maturity for the operation of complex systems. 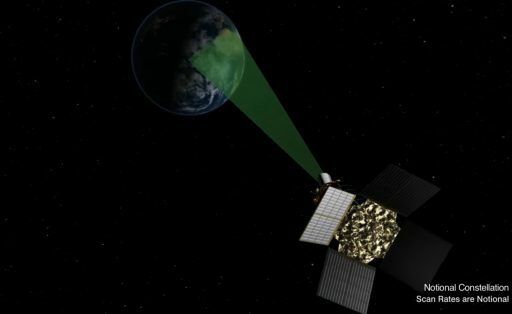 However, MIDAS was successful in demonstrating that the infrared signatures of missiles could indeed be detected from orbit – freeing up additional resources to move development forward. The Defence Support Program (DSP) was inaugurated in 1970 and, over 35 years, went through three generations of satellites operated from Geostationary Orbit to provide global missile-tracking capabilities via a windshield-wiper-type sensor system that swept out large viewing sectors as the satellites spun around their central axis. Given their use of antiquated sensors, DSP satellites could only pick up large missiles and only after they ascended above much of Earth’s atmosphere due to infrared attenuation by the atmosphere. Work on SBIRS as a successor to DSP formally started in 1996 in response to changing threats that necessitated an integrated system capable of detecting all types of missiles and cutting warning times in half compared to the DSP-based architecture. 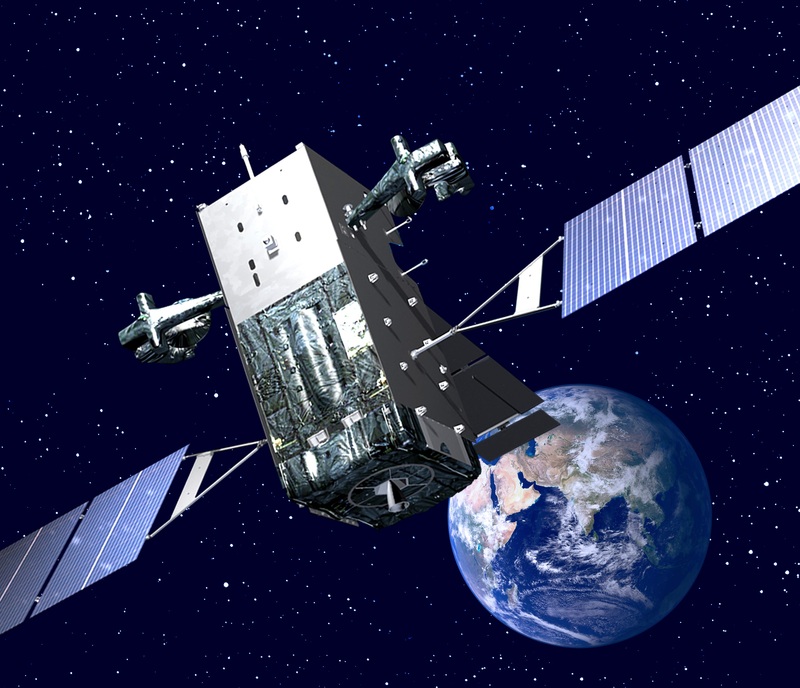 Lockheed Martin serves as the prime contractor for the SBIRS-GEO satellites while Northrop Grumman developed and built the SBIRS infrared-sensing instruments, including those flying as hosted instruments on classified NRO missions in highly elliptical orbits to patch up a blind area in the high-latitude regions and monitor potential threats overflying the North Pole. 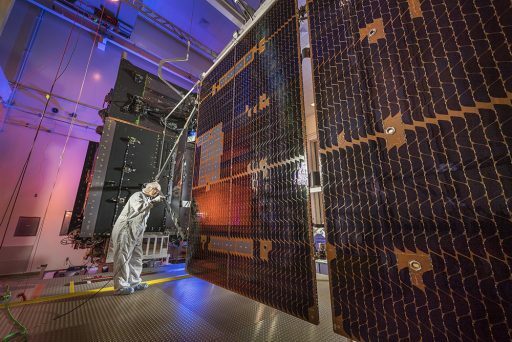 The SBIRS-GEO satellites utilize Lockheed’s A2100 satellite platform and each weighs around 4,500 Kilograms, built for at least 12 years of service and comprising a pair of power-generating solar arrays and a large sun shield for the sensitive sensors. 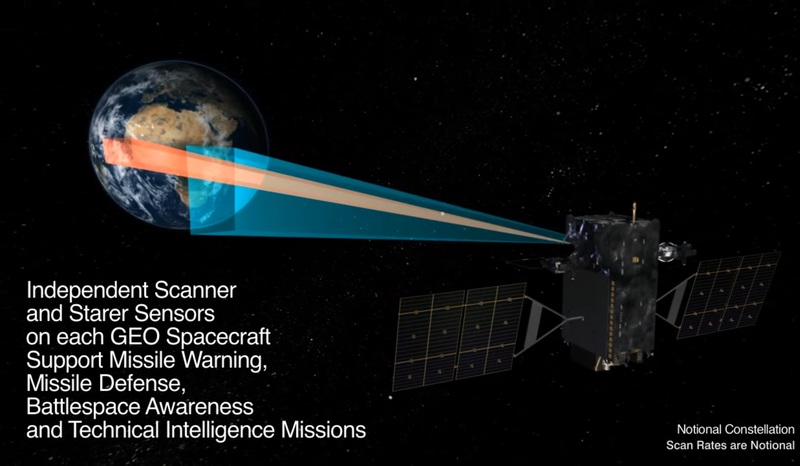 Each GEO satellite is outfitted with a pair of instruments – a scanning and a staring sensor, both sensitive in three infrared bands covering the short- and mid-wave wavelengths and a see-to-ground channel to spot infrared signatures from ground level up. The scanning sensor progressively scans the entire disk of Earth visible to the satellite to identify ICBM launches at a fast revisit rate while the staring sensor is either primed on a single location of interest or steps between multiple areas to spot faint & short-duration signatures from short-range missiles. Given their sensitivity, the SBIRS satellites can also spot other infrared events such as wildfires and volcanic eruptions and they are called upon for pin-pointing re-entering space debris as they burn up in Earth’s atmosphere. See-to-ground infrared-sensing is also beneficial to other intelligence-gathering entities outside of missile detection as examining human-made infrared emissions can provide insight into activities on foreign territory not visible to optical reconnaissance & radar satellites. As one of the most critical U.S. defence programs in space, SBIRS was extended in 2014 and two additional satellites were ordered from Lockheed Martin to launch in the 2020s to ensure SBIRS-quality services can continue through the end of the next decade. The payload of AV-076 is the fourth dedicated SBIRS satellite, joining SBIRS-GEO satellites launched in 2011, 2013 and 2017, as well as four HEO sensors deployed on National Reconnaissance Office satellites launched in 2006, 08, 14 and last September. SBIRS GEO-4 is in fact the third SBIRS production vehicle that finished assembly and testing prior to the spacecraft launched in January 2017 but was left in storage while SV-4 proceeded straight from finishing manufacture to the launch site, eliminating the cost of SV-3 and SV-4 swapping places. Unlike its predecessors that flew on the basic Atlas V 401 configuration, SBIRS GEO-4 launched atop an Atlas V 411 sporting a single Solid Rocket Booster in a bid to increase the rocket’s performance and provide fuel margin for a targeted deorbit burn by the Centaur upper stage. This comes as part of a U.S. Air Force initiative to demonstrate responsibility in the area of space debris, removing upper stages from orbit whenever possible – even if that comes at the additional cost of switching to a more powerful launch vehicle version. However, the addition of the booster not only provided fuel reserves for the Centaur deorbit but also increased performance up the hill, allowing additional propellants on Centaur to be re-allocated from the Parking Orbit insertion to the apogee boost maneuver to increase the plane change into a lower-inclination orbit and drop SBIRS GEO-4 off closer to its operational orbit. The countdown to the 125th United Launch Alliance mission started at 17:58 UTC on Friday when controllers at the Atlas Spaceflight Operations Center began the process of activating the Atlas V rocket for a multi-hour testing campaign. Engineers departed the launch complex three hours prior to the opening of the day’s launch window and Atlas V entered cryogenic tanking when the countdown resumed after a built-in hold at T-2 hours. Over the course of one and a half hours, Atlas V received 185,500 liters of Liquid Oxygen on its first stage while the second stage was loaded with 15,700 liters of the -183°C oxidizer plus 48,100 liters of -253°C Liquid Hydrogen. The Common Core Booster had received its dose of fuel after Wednesday’s rollout in the form of 94,600 liters of Rocket Propellant 1. All Atlas V and spacecraft launch controllers called out a GO for launch and the countdown was switched to automatic mode at the T-4-minute mark to put the rocket through a highly choreographed series of steps to get ready for ignition and liftoff at the top of the night’s 40-minute launch window. 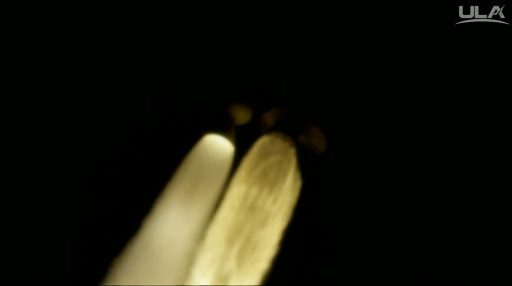 The two-chamber RD-180 main engine roared to life three seconds before clocks hit zero to throttle up to a liftoff thrust of 392 metric-ton force under close supervision by computers. Atlas V rose from its launch pad upon ignition of its Solid Rocket Booster at 0:48:00 UTC with a total thrust of 564.5 metric tons, climbing vertically for only seven seconds before beginning its roll and pitch maneuver to get aligned with a 96-degree launch azimuth taking the vehicle to the south east. The two-chamber RD-180 switched to active propellant utilization and, throughout the early portion of the flight, was tasked with compensating the off-axis thrust from the booster. Flying right and true, Atlas V passed the speed of sound just 58 seconds after launch followed 13 seconds later by Maximum Dynamic Pressure as the rocket powered through the dense atmosphere. Thrust on the lone Aerojet Rocketdyne booster tailed off 94 seconds into the flight when it exhausted its 41,000-Kilogram supply of solid propellant. Separation did not occur until T+2 minutes and 20 seconds to ensure the 17-meter long SRB would depart the vehicle in favorable aerodynamic conditions – a result of the slanted nose cone shape of the AJ60 booster on the Atlas V.
Heading on powered by the RD-180 alone, Atlas V switched to active guidance to process navigation data in order to modify its flight profile to meet the precise cutoff targets. Burning 1,150 Kilograms of propellant per second, RD-180 delivered a thrust of 422 metric-ton force when flying through the rarefied upper layers of the atmosphere, entering a gradual throttle-down to limit acceleration on the vehicle toward the end of its burn. BECO, Booster Engine Cutoff, was marked at T+4 minutes and 3 seconds and the spent 32.5-meter long first stage separated six seconds later, pulling away by firing retrorockets. Ten seconds after staging, the Centaur ignited its 10,400-Kilogram-force RL-10C engine to boost the stack into a Parking Orbit. Another ten seconds later, Atlas V split open and jettisoned its payload fairing halves – having crossed the boundary of space where aerodynamic forces were no-longer a danger to the SBIRS satellite. Taking advantage of the work done earlier in flight by the SRB, Centaur only had to fire nine minutes and 30 seconds to reach the desired Parking Orbit – around 94 seconds shorter than for previous SBIRS deliveries – saving precious fuel for the second burn and the deorbit maneuver. Centaur concluded its first burn just shy of T+14 minutes, achieving an orbit of 176 by 497 Kilometers at an inclination of 26.2 degrees for a coast phase of ten and a half minutes to continue on its south-easterly path so that the second burn could occur around the equator. Re-start of the RL-10C engine was called out 24 minutes and 15 seconds into the flight and the second burn appeared to meet its planned duration of five minutes and two seconds, tasked with raising the high point of the orbit to match geostationary altitude and firing Centaur out-of-plane to nudge the stack into a less-inclined orbit. 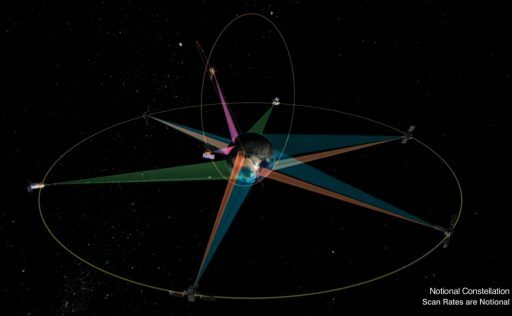 Centaur’s navigation system showed an insertion orbit of 185 by 35,837 Kilometers, 16.88° which compares very favorably to the mission’s target orbit of 185 by 35,851 Kilometers, inclined 16.88°. 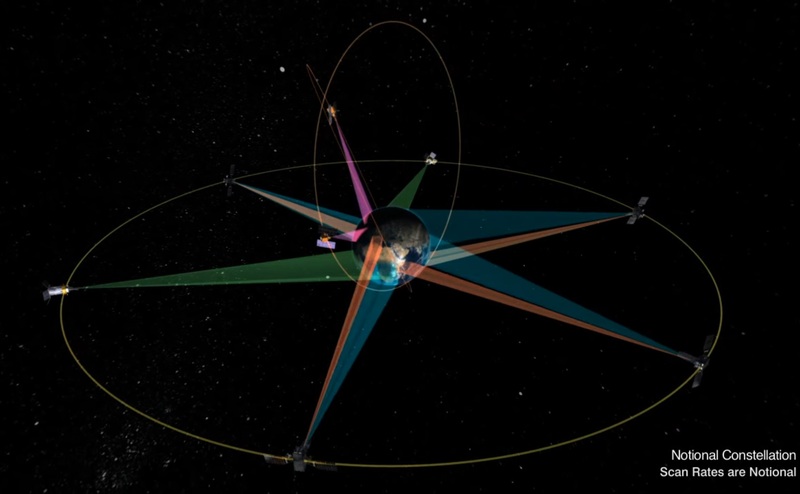 The additional reduction of the orbit’s inclination by 6.4° compared to previous SBIRS missions will save fuel on the satellite when transitioning into Geostationary Orbit which will be available to support stationkeeping in GEO over an extended mission duration. Atlas V went back into coast mode after its second burn, passing over Sub-Saharan Africa and the island of Madagascar before heading out over the Indian Ocean. Separation of the SBIRS GEO-4 satellite was confirmed 42.5 minutes into the mission after a smooth climb into Geostationary Transfer Orbit. Following separation from its launch vehicle, SBIRS-GEO 4 will begin a multi-day sequence firing its Leros main engine to gradually lift itself into Geostationary Orbit. 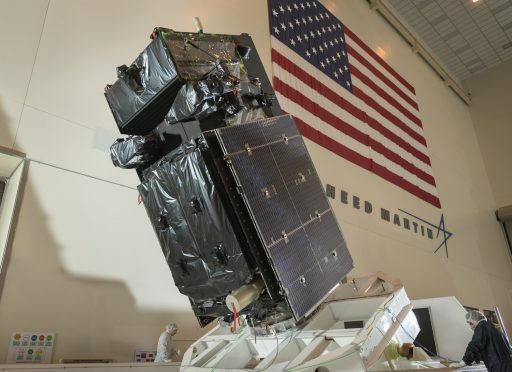 The Air Force did not disclose from where the satellite will operate, but it is fairly certain GEO-4 will take up station to cover the Eastern Pacific and the Americas in order to patch up the last gap in SBIRS-GEO coverage. The last order of business for Centaur was to be a ten-second retrograde deorbit maneuver one hour and 14 minutes into the mission to set it on a course to a fiery re-entry over the Pacific Ocean with surviving fragments impacting nine hours and 25 minutes after launch.